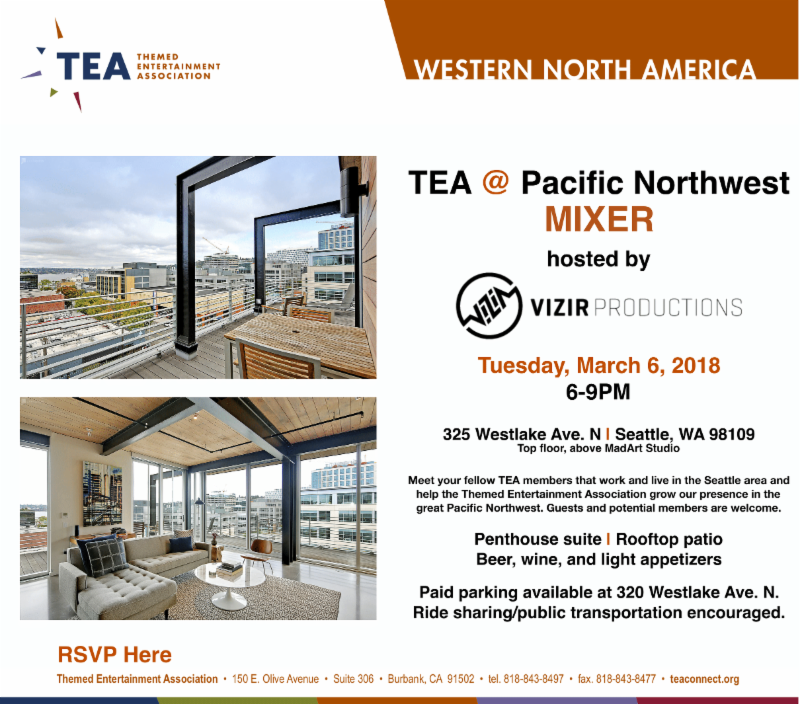 Meet your fellow TEA members that work and live in the Seattle area and help the Themed Entertainment Association grow our presence in the great Pacific Northwest. Guests and potential members are welcome. Paid parking available at 320 Westlake Avenue N.